Charles Francis Murphy began his career in the secretarial pool of D.H. Burnham & Company, eventually serving as personal secretary to Ernest Graham (of Graham, Burnham & Company). When Graham died in 1937, Murphy organized the architectural firm Shaw Naess & Murphy. In 1947, the firm became Naess & Murphy, and in 1960, C.F. Murphy Associates. 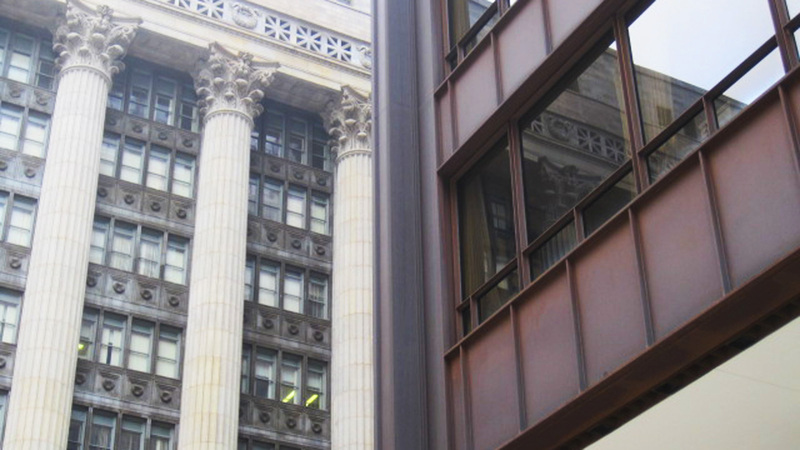 Murphy himself had no architectural training, but his succession of Chicago-based firms grew steadily, and C.F. Murphy Associates completed many high-profile commissions in the city, including McCormick Place East and O’Hare International Airport. 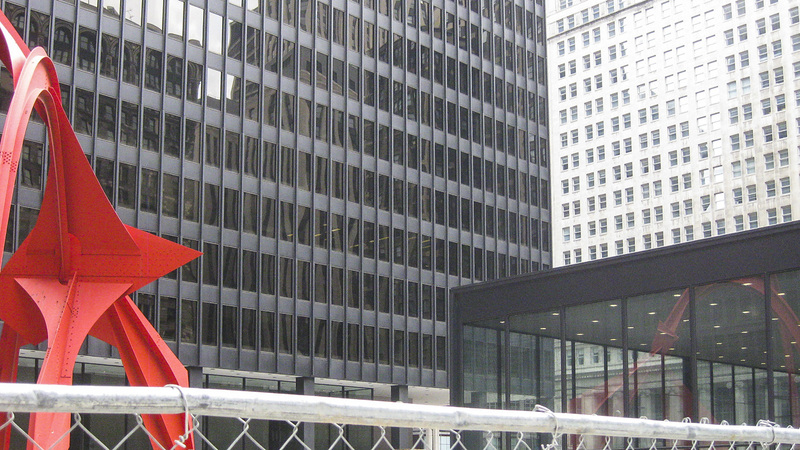 The firm’s architecture was demonstrative of the Second Chicago School, whose origins can be traced to Ludwig Mies van der Rohe’s arrival in the city and the advent of Modernism. 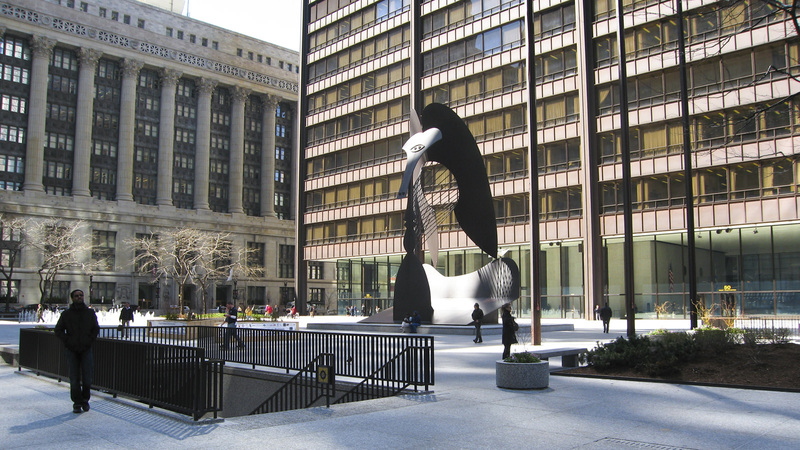 Like many of Mies van der Rohe’s designs, the firm’s buildings often conceded space for public plazas that included sculpture; two of Mies van der Rohe's students, Gene Summers and Jacques Brownson, were the firm’s lead designers. 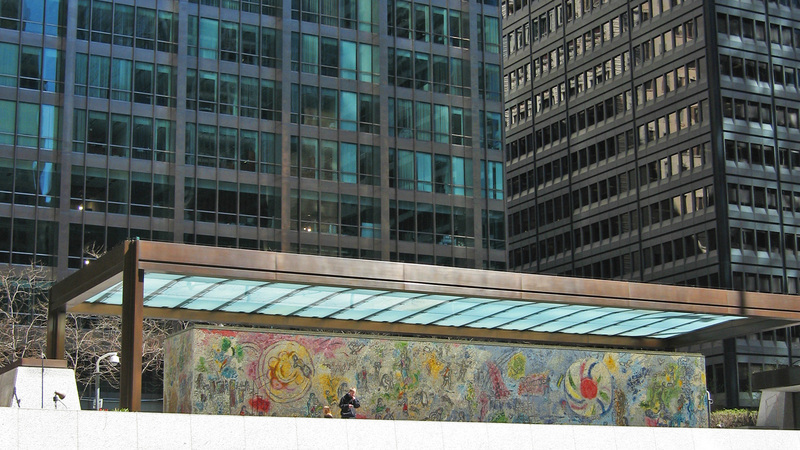 The latter worked on the design of the Chicago Civic Center (now the Richard J. Daley Civic Center), a Cor-ten steel building fronted by a paved plaza with a sculpture by Picasso. 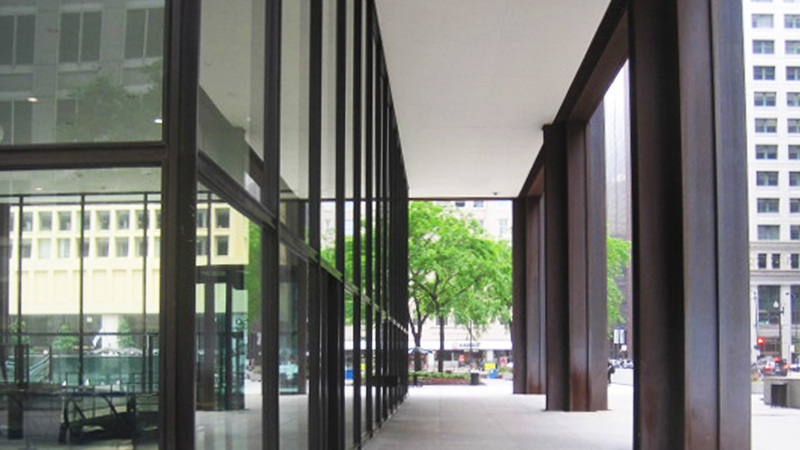 At the Chicago Federal Center, the firm worked with Mies van der Rohe, as well as Schmidt, Garden & Erikson and A. Epstein and Sons to create an ensemble where the granite tiles of the plaza enter the glass-clad lobbies of the surrounding buildings. In 1981, C.F. Murphy Associates became Murphy/Jahn, acknowledging the partnership of Helmut Jahn, who joined the practice in 1967. Francis Murphy died in 1985, and in 2012 the firm was re-named JAHN.